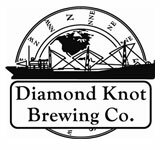 Diamond Knot Brewing Co. Releases Vienna Ale. MUKILTEO, WA – Looking ahead to cooler weather and falling leaves, Diamond Knot Brewing Co. is bringing back its Vienna Ale. Starting in September, this fall seasonal beer will be available on draft and in 22-oz bottles at retailers in throughout Washington, Oregon and through Total Wine & More.